Three successive league defeats is never something to be pleased about, but as Laudrup himself said from the very first win over QPR there would be good days and bad days. Last season 3 successive wins were followed by 4 successive defeats so you have to take the rough with the smooth. At the moment obviously there's a fair bit of rough, conceding an early goal yet again and I'm tempted to just repost my review of Stoke away last season given how the game went. In terms of stats, Swansea as would be expected had the majority of possession but Stoke made sure they made the most of what they had. 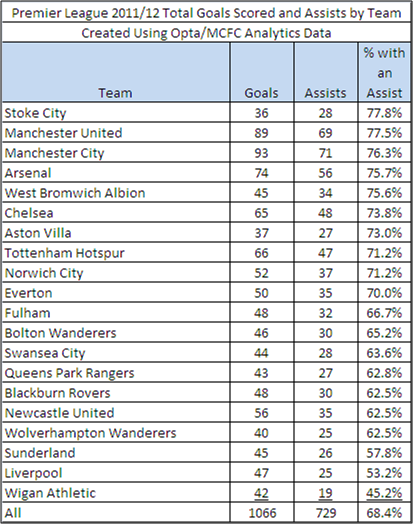 Last season Stoke were the team that had the highest proportion of goals that had an assist, suggesting that they rely on teamwork rather than individuals. At the other end of that table, by some distance are Wigan who arguably had trouble building a cohesive team until the last few weeks of the season. 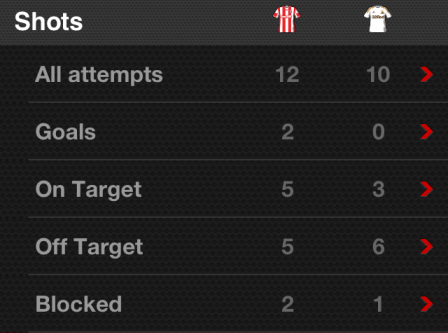 Back to the Stoke game, looking over the stats there were a couple that stood out for me. One was the take-on success rate Pablo with 1 out of 5 attempts and Dyer with 1 out of 4. In Nathan's defence he was again the most fouled player on the field being fouled 5 times (next highest was Kightly with 3). 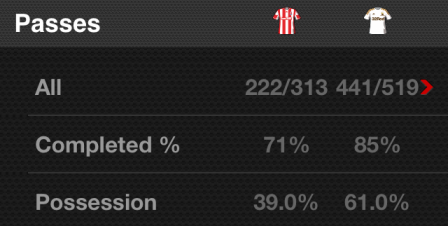 The other was the cross success rate, Stoke had 9 successful out of 31 (29%), Swansea had 1 from 25 (4%). 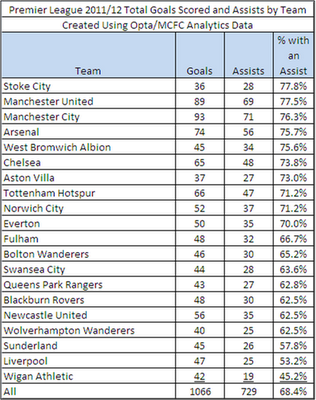 Last season when two goals down, Rodgers took off both wingers and put on McEachran (who did little) and Moore. Watching Mark Gower at Crawley in midweek I had mixed emotions, his dead-balls were poor but he plays lovely lofted passes in to the box and surprisingly had more assists (5) than any Swansea player last season. He may not have the legs for some games this season but for 20-30 minutes against a side like Stoke he could maybe do a job. Reading and Wigan at home offer a big opportunity to take points from teams that are going to be towards the bottom this season. There's a long way to go before pressing the panic button.